Hello folks, and welcome back to Why It Works! 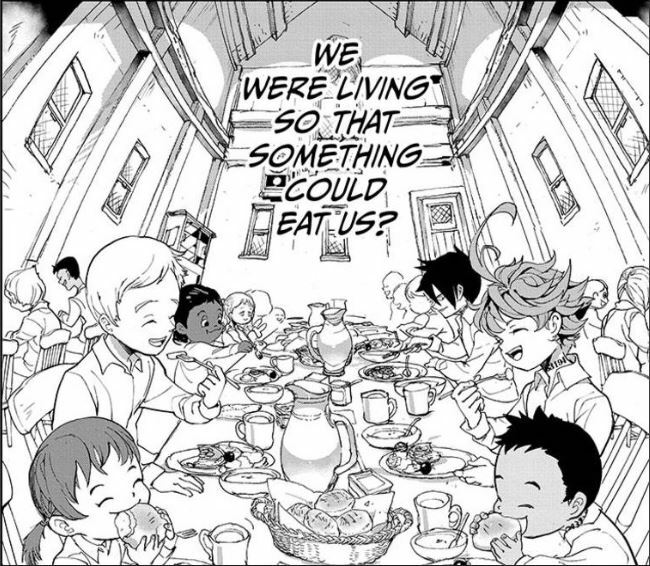 I’ve been greatly enjoying this season’s adaptation of The Promised Neverland, and I doubt I’m alone. 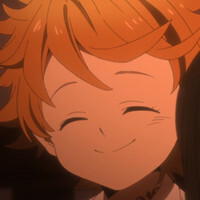 Ever since the manga first came out, I’ve been loving the story of Emma and her family, and appreciating the narrative’s alluring mix of fanciful fairy tale embellishment and gripping, dynamic suspense. 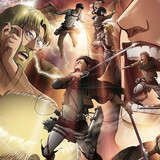 The story draws on traditions ranging from traditional fables to prison break thrillers to shonen action, spinning all of them together into something uniquely compelling. 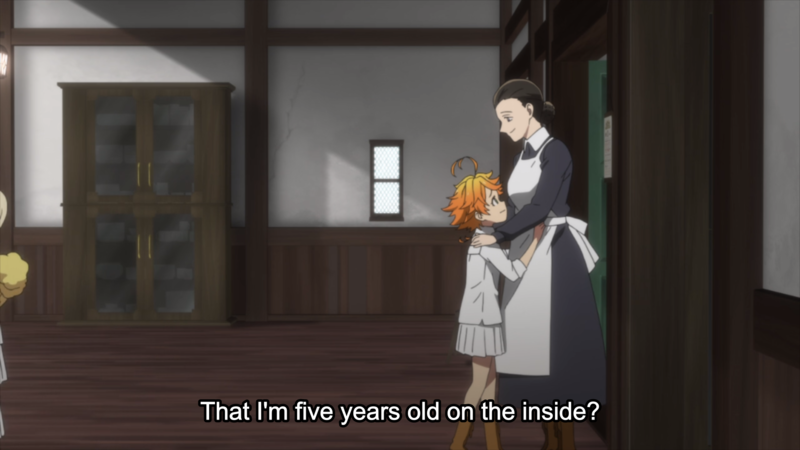 But beyond the fundamental narrative’s clear appeal, I’ve also been appreciating the very different dramatic approach The Promised Neverland’s anime takes, and its clear distinction from the original manga. 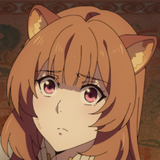 Different mediums have different strengths, and making a great adaptation demands accepting that “perfectly replicating the source material” isn’t just impossible, it’s actively undesirable. 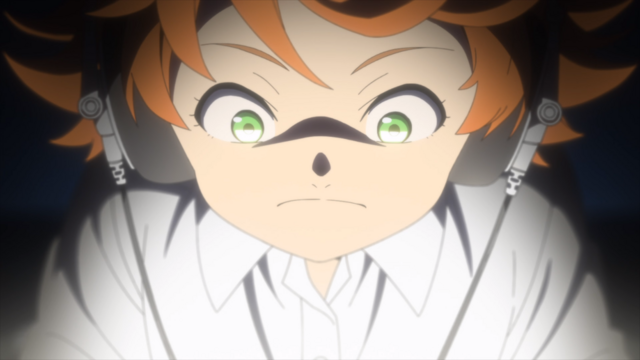 Today on Why It Works, let’s dig into the differences between these two evidently similar but very different stories, and explore how The Promised Neverland’s anime brings its drama to life! 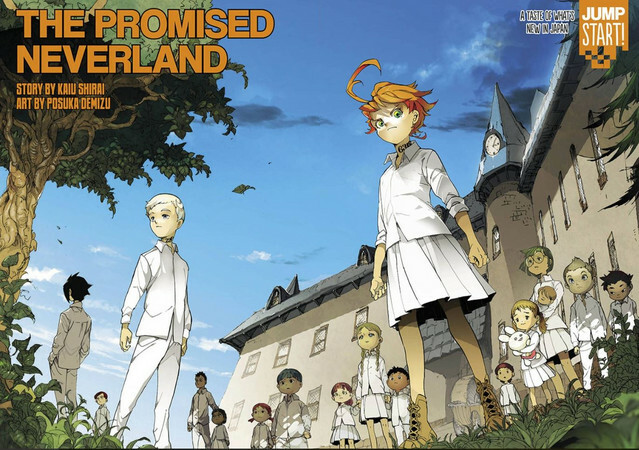 The Promised Neverland’s manga is a unique property in many regards, but in terms of its visual identity, artist Posuka Demizu’s background as an illustrator heavily informs its appeal. 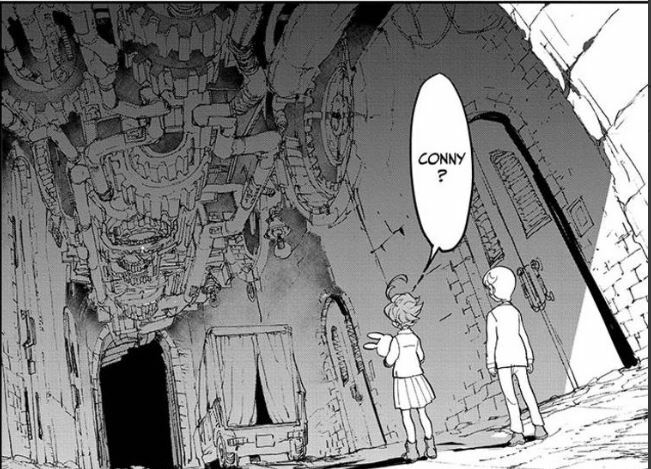 While many manga are at their visual best when conveying furious action, many of Demizu’s best panels are the incidental or establishing shots, with the ornate backgrounds often feeling more important than the actual characters. 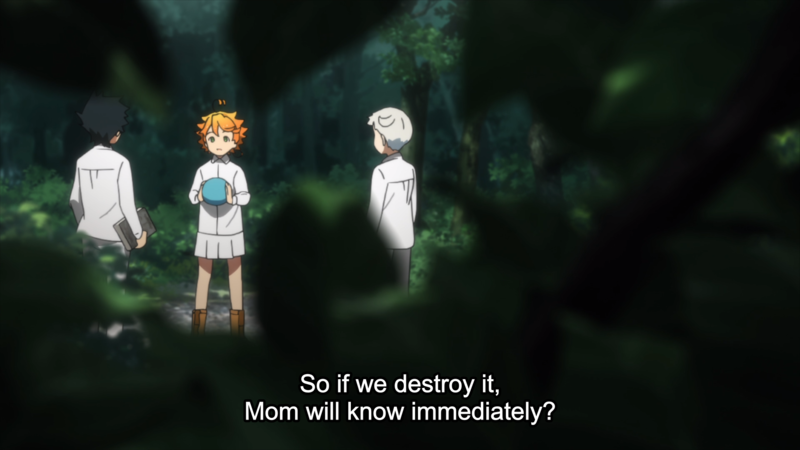 Take for example the sequence where we’re first introduced to Emma’s daily free time in the woods. Though Emma is theoretically the subject of this sequence, the focus is more on the beautifully realized forest around her, the intricate background that truly conveys the sense of a fairy tale adventure. Grace Field House itself is rendered in a similarly detailed, illustration-oriented style. Even small panels are full of background objects and details to get lost in, visual adornment that all contribute to the house’s sense of cozy, lived-in tranquility. 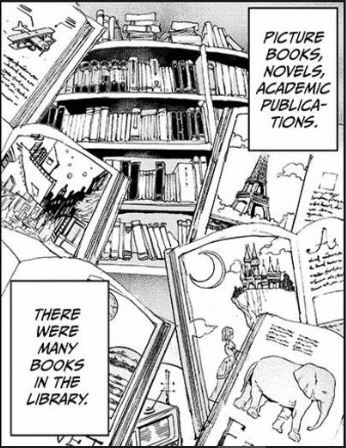 The manga thus establishes an initial sense of fairy tale wonderment to be visually corrupted over time, as the house and surrounding fields’ carefully established “personality” turn horribly wrong. 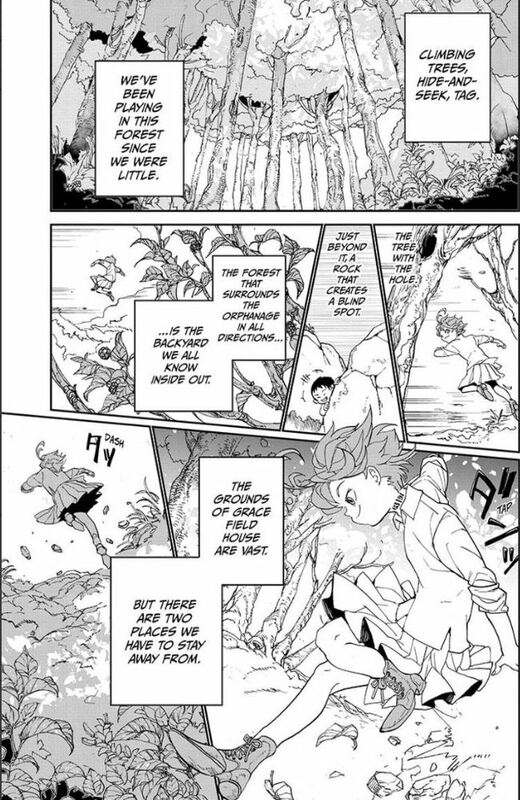 While The Promised Neverland’s panel-to-panel momentum can occasionally flag, its focus on detailed illustrated visual setpieces means it perfectly evokes the sense of a fairy tale gone wrong, naturally contrasting the story’s sunny face and dark core. 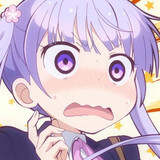 In the anime, the focus is very different. 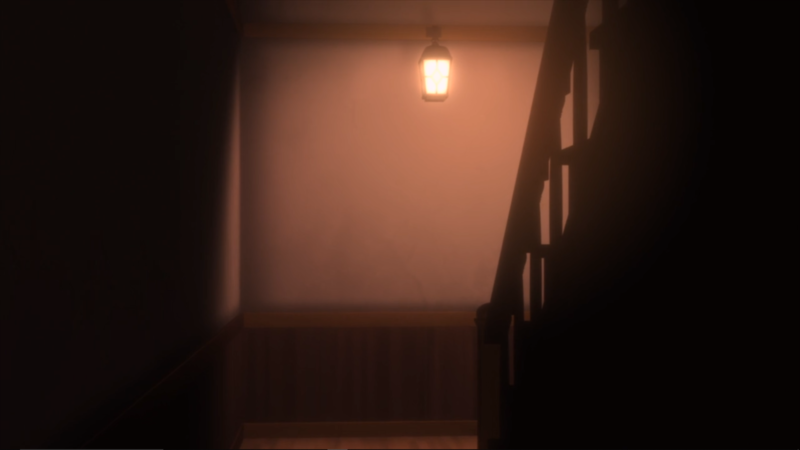 Elegant, hand-drawn detail isn’t the focus or the strength of Neverland’s adaptations; as we can see in both interior and exterior shots of the house, the adaptation’s digitally constructed backgrounds don’t really lend themselves to the fairy tale tone of the original. 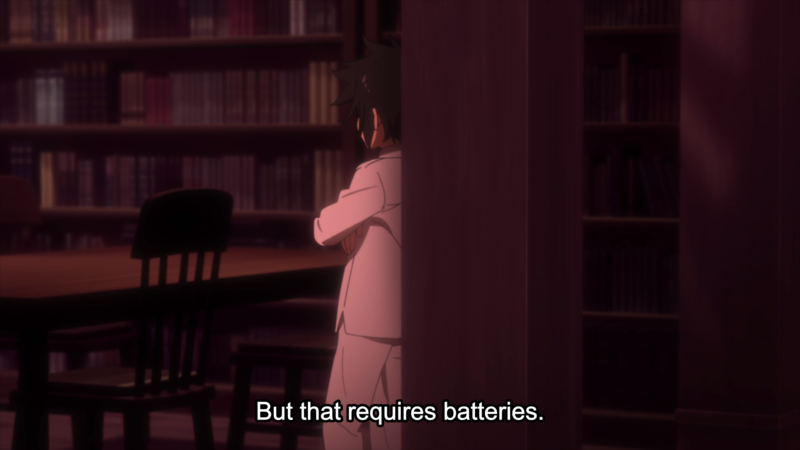 Fortunately, that doesn’t necessarily undercut the anime’s own priorities. 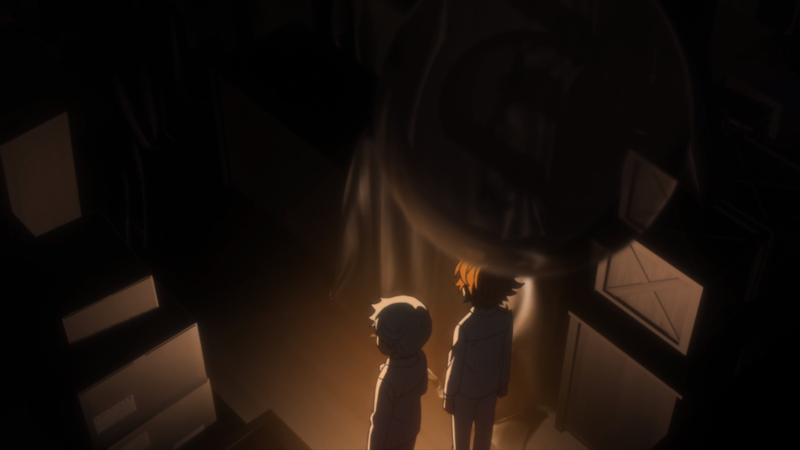 In contrast with the manga’s “fairy tale gone wrong” appeal, the anime is instead prioritizing suspense, and framing this story as a claustrophobic prison break. 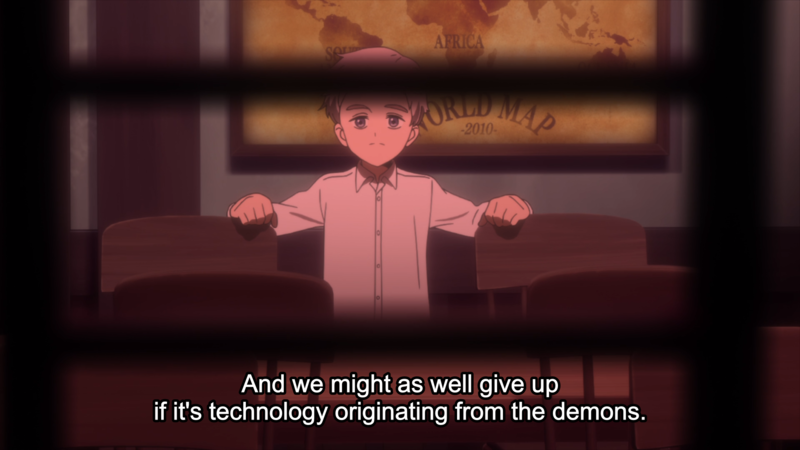 Because of this, the anime’s layouts tend to be far less extravagantly composed than the manga. They are brutal and intimate, peeking around dark corners, consistently conveying the sense of our heroes being spied on. The “camera” is often set lurking in some strange corner, secretively peering out at the protagonists in both interior and exterior sequences. 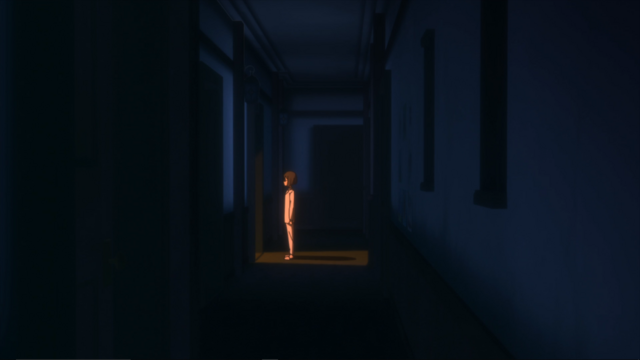 Instead of conveying the story’s horror through intricately composed visual setpieces, the anime works to foster a consistent sense of entrapment, with the production largely sticking to close shots that would still be possible in a live-action adaptation. 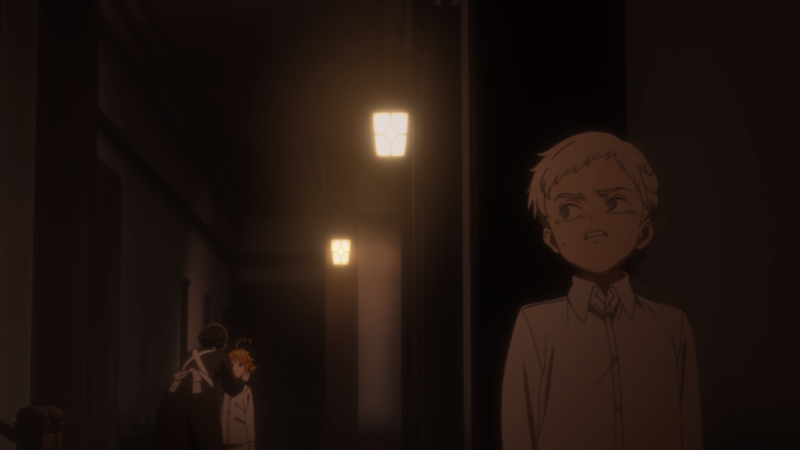 As a result, while The Promised Neverland’s adaptation doesn’t match the lavish beauty of its source material, it replaces that appeal with a palpable sense of entrapment that extends to the audience itself. We in the audience feel as hunted as Emma and her friends, forced into claustrophobic closeness or crouched tightly in odd corners. And in light of these new priorities, Neverland’s digital backgrounds actually make a kind of sense. 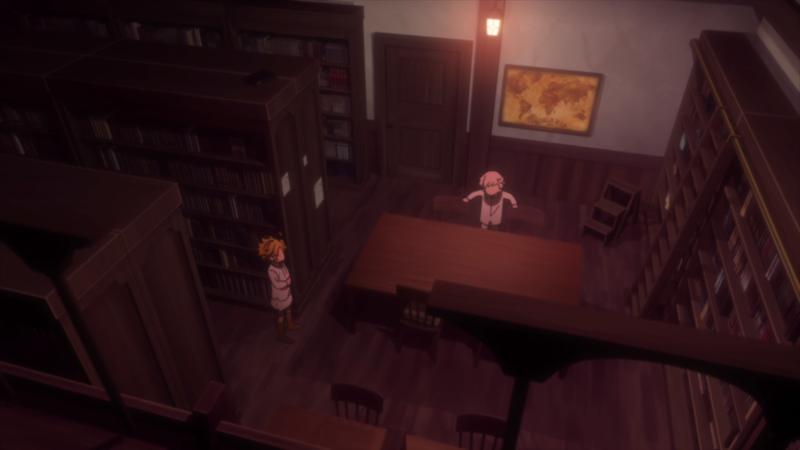 The show’s focus on intimate, realistic camera work involves a whole lot of sliding pans and jumps between angles, techniques which are naturally facilitated by the show’s convenient, replicable designs. 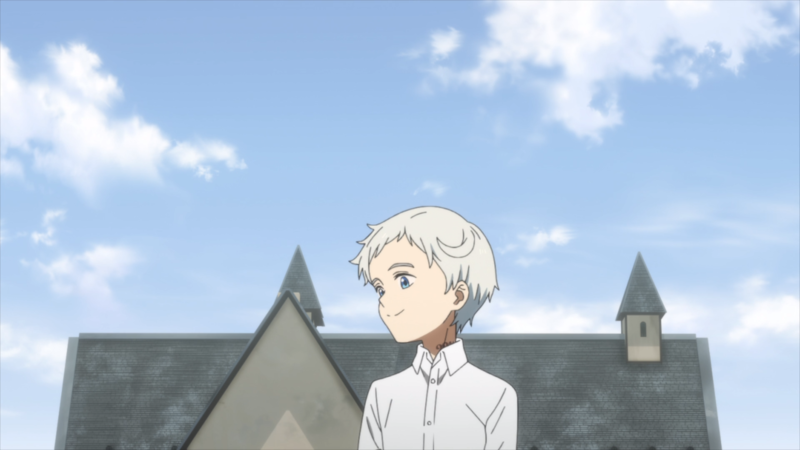 Sequences like episode four's extended perspective cut would be impossible with traditional backgrounds; by using digital sets, the show is able to tether us that much more closely to the action, fitting for a medium that absorbs your attention as fully as anime. The show treats its scenes as active sets, not ornate tapestries, and its design choices extend naturally from there. Ultimately, whichever style of Neverland you prefer is totally valid. 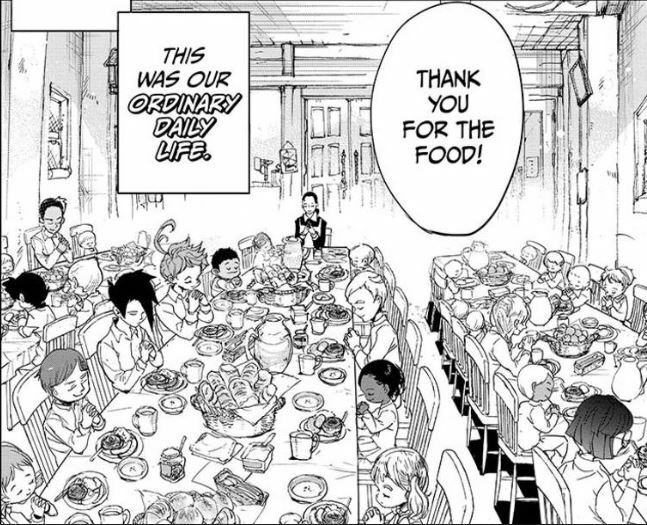 It’s just interesting to explore how different artists can take the same story and approach it from very different angles, using their personal specialties and the tools of their craft to best embody the genres they prefer. 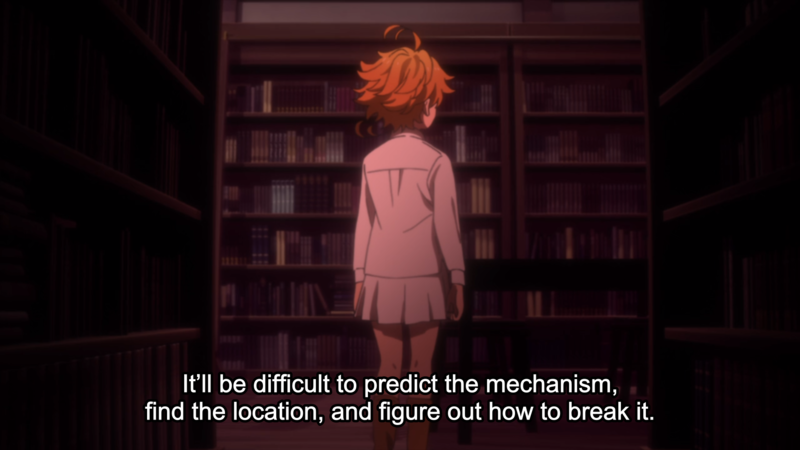 At its best, the process of adaptation is far more than “converting comic panels into animation”—it is an act of fundamental reimagining, of reconsidering a story’s base assumptions, and working to tell the best possible version of that story in an entirely new world. 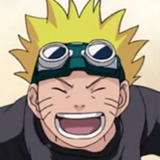 I hope you’ve enjoyed this discussion on adaptation, and please let me know what you all think makes for a great anime adaptation in the comments!